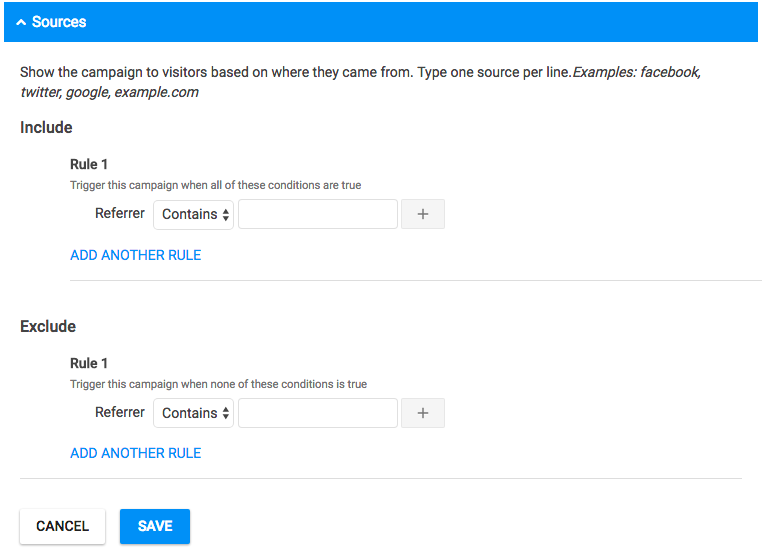 Using the Sources targeting setting you're able to filter the visitors who will see the campaign, based on the traffic source. 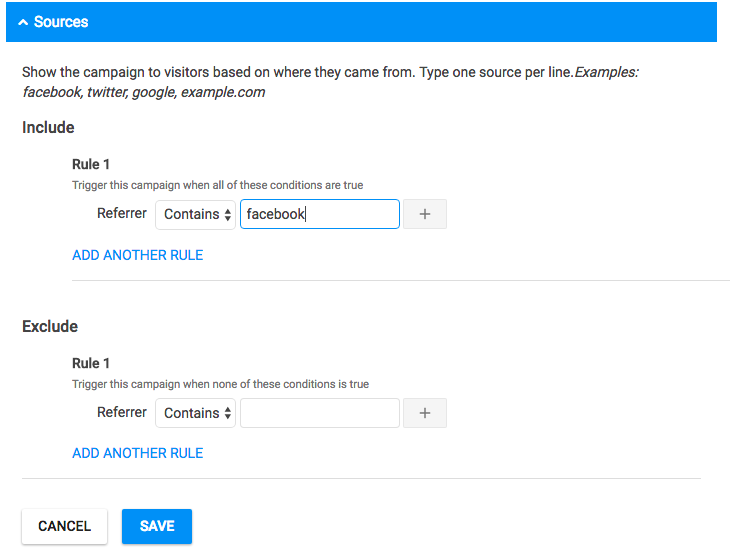 You can have a campaign that will be shown only to visitors who come from Facebook and another one for those who come from Google . You can Include or Exclude the sources you want and combine rules any way you want.